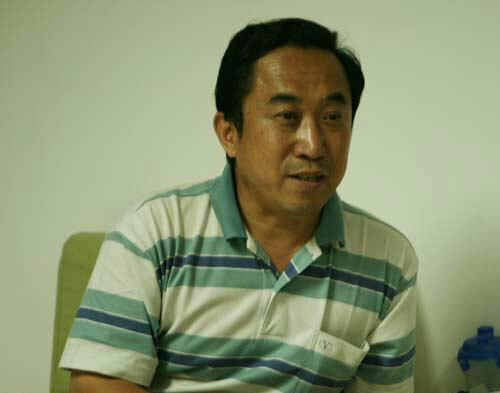 Xie Hailong was just a worker at a small factory before he became the photographer behind the most successful charity project in China. Project Hope, which will celebrate its 20th anniversary this October, has raised 4 billion yuan (US$5.86 million), financed the education of 3 million students and built 14,000 primary schools. It also has provided funding for structural and technological improvements and teacher training. And according to a 1999 report by the National Research Center for Science and Technology Development, more than 63.5 percent of people in 29 provincial capital cities have contributed to Project Hope in some way. But the biggest contributor, perhaps, will always remain Xie. The organizers of Project Hope, the China Youth Development Foundation (CYDF), and Xie embarked on their public awareness campaigns for the education of rural Chinese youth separately. The Communist Youth League, recognizing the shortage of education funds for millions of young Chinese students in rural villages, established the CYDF to collect money from society, and Project Hope was launched. Its first school, in Anhui Province, opened the same year. By then, Xie already had heard news reports about the difficulties rural children faced in getting an education and traveled to remote villages to see them firsthand. 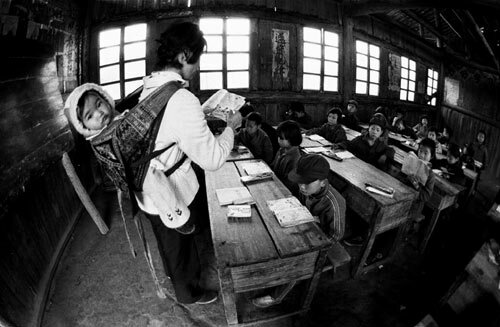 In 1987, while in Guangxi Province to photograph folk customs, Xie heard students reading aloud and followed the sound. The sounds led him to a single-room schoolhouse with some 30 students, ranging from grade 1 to 6, and a young teacher carrying her own 5-month-old baby on her back. Touched by the scene, he started taking pictures - his first ones of rural education. Xie had found the direction for his photography career. "I couldn't sleep that night," Xie says. "I wondered what the education situation nationwide was. How many teachers like Dai Hongying were sticking to their posts? What's the nation's expenditure on education?" As soon as Xie returned to Beijing, he went to the library to find out. China was spending about 2 percent of its gross domestic product on education, ranking eleventh from last out of 160 countries worldwide, Xie says. At least 2 million children between 7 and 13 had to drop out of school each year. "It wasn't because that China didn't value education," Xie notes. "Rather, it was because there were too many areas that needed improvement, and the comprehensive national strength was still quite weak. But people believed education was really excellent." In fact, there was little public awareness of the poverty in the countryside. Xie says he expected to find the beautiful landscapes he had heard about in popular songs about folk customs. Instead, what he found was cruel poverty. "What we were told was that everything is perfect in rural areas - villagers are quite rich and living a happy life," Xie says. "But you would be disappointed and shocked when you personally see it." The Chinese government introduced its compulsory nine-year education program in 1986. Despite a promise to provide free education for every child, the government faced – and still faces - shortfalls in its education funds, especially in rural areas. The annual per capita expenditure on rural schoolchildren at the time was less than 10 yuan, Xie found. He asked his boss for a year off to explore their lives. "In 1989, as people began to xia hai [flock to cities to do business and make money], I decided to shang shan [go to the mountains, the more impoverished areas]," Xie says. "I knew these children needed my camera to make more people hear their cry, 'I want to go to school,' and I must seize the time."